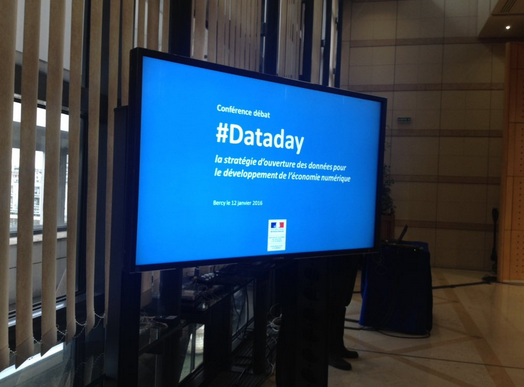 [Paris, 12 Jan. 2016] TBi Scientific was represented today at the #DataDay conference-debate that was organized by the French National Secretary for the Digital Economy, Axelle Lemaire. The conference, that focused on the French Open Data Strategy as a means to accelerate economic growth, gathered several experts and stakeholders of open data, big data, and french digital economy. Laure Lucchesi, Deputy Director at Etalab (French task force for Open Data) started the conference by presenting the strategy of the government for digital economy and open data. 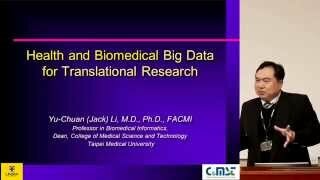 She mainly discussed the quality of the data and interoperability. In April 2014, France has joined the Open Government Partnership (OGP), which was launched in 2011 to “provide an international platform for domestic reformers committed to making their governments more open, accountable, and responsive to citizens“. Laure Lucchesi discussed this partnership, as well as the mission Open Data within the Group of Eight Industrialized Nations (G8). She also presented the Dataconnexions Competitions organized each six months by Etalab. The sixth edition was organized from September 15th, 2015 to 5 January 2016. Representatives from French startups in the field of data business and large companies with an open data strategy and programs have presented their initiatives and projects. 1- Christian Frisch, co-founder and CTO of Data Publica. 4- François Blanc, national director of the digital programme at ERDF (manager of 95% of the electricity distribution network in continental Franc) presented the digital transformation at ERDF. He also presented Linky, the intelligent and connected electricity meter of ERDF that allows to perform remote operations (access to information about consumption, resolving accidental outages,..). ERDF has decided to adopt an open data strategy by releasing the data into the public domain. These datasets are available on both the ERDF Open Data Website and Etalab. The French Digital Council (CNNum) was represented by Godefroy Beauvallet, who gave an interesting talk and presented the vision and strategy of CNNum for open data and digital economy. Said Godefroy Beauvallet, who also discussed transparency and the necessity to publish algorithms and computer codes. On 18 June 2015, Benoît Thieulin, president of the French Digital Council, has presented to the French Prime Minister, the rapport “Ambition numérique“ with 70 proposals. This report summarized more than 5000 contributions and issued opinions and recommendations relating to the impact of digital technologies on economy and society. CADA and CNIL, how to find a compromise ? Privacy and data protection were the central issues in the debate. How to open data without compromising privacy, the participants tried to explain the legal framework in France. CADA (Commission d’accès aux documents administratifs), France’s Law on Free Access to Administrative Documents (Law No. 78-753 of 17 July 1978) has been discussed in parallel to the CNIL’s (National Commission on for Informatics and Liberty) law (No. 78-1 of 2 January 1978). The CNIL is an independent French regulatory body whose mission is to ensure the respect of data privacy law. The French National Secretary for the Digital Economy, Axelle Lemaire, who closed the DataDay has officially stated that SIRENE Register will be released into the public domain by January, 1st, 2017. An excellent news, said Christian Frisch, co-founder and CTO of Data Publica, who can use these open data to develop his services for companies and french startups. The SIRENE Register (Database for a Register of Companies and their Establishments), currently hosted by the INSEE. 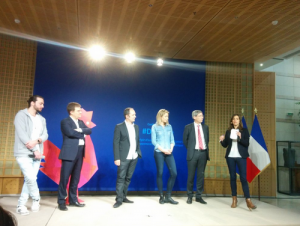 It should be noted that Mrs Axelle Lemaire was the first minister to launch an online platform for open consultation and contributions by citizens on a new law in France. We thanked the minister for her excellent initiative (to which we have contributed) to promote participatory and open government. Said Manuel Valls, French Prime Minister in a press conference on Saturday 26 September 2015. The Law, which is debated this week at the French Parliament, has attracted more than 21 300 contributors. According to the République Numérique website, 21,330 contributors have voted nearly 150 000 times and made amendments and proposals. 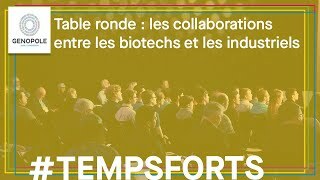 We provided here the videos of the talks that have been made available online by Bercy. The French Ministry for the Economy, Industry and Digital Affairs. 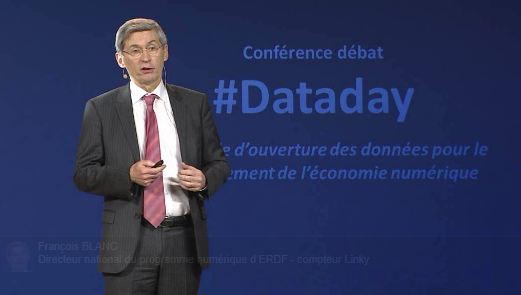 #DataDay : Developing the data economy. The Official Press Release, 7 January 2017. Open Data : Ouverture des données SIRENE au début 2017 by Jacques Cheminat. Silicon.fr. 12 Jan. 2016.